RPMGlobal is a provider of mining operations solutions. Their products delivers leading digital platforms that connects systems and provides information to assist with mining decision making processes. For a global enterprise company, RPMGlobal needed a new website to showcase their products and services that is easily accessible by their stakeholders and customers. 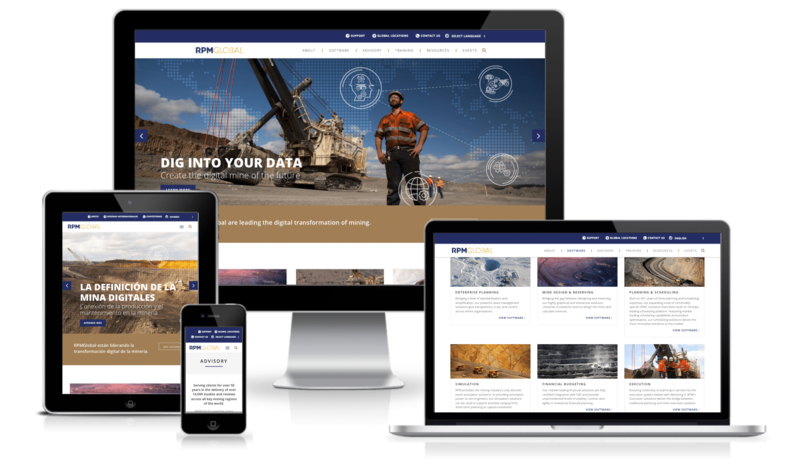 We designed and developed RPMGlobal’s new website from the ground up to cater for the large amount of content required, it is designed to be easy to use by the client in the back end and easy to navigate on the front end. The website has also been built with customised functions and special features to accentuate the user experience. RPMGlobal now has a carefully considered website and central location to display information to their customers and potential new prospects. The website also presents RPMGlobal’s brand well, showcasing the company’s professionalism and corporate identity.